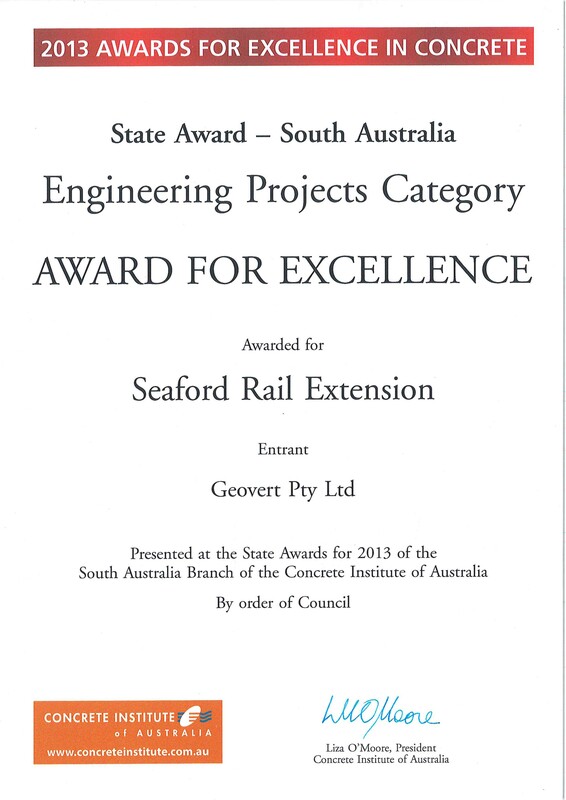 Congratualtions & thanks to Mike, Tung, Dave and the Seaford project team for delivering an AWARD WINNING PROJECT to stand the test of time. One of the elements of this stringent specification called for the exposed vertical and inclined retaining wall slabs to achieve a surface finish tolerance of 5mm in 2.5m. Despite the painstaking complexities of building a 1:100 tolerance finish in 3D convex and concave structures on a sloping face as opposed to a flat slab - the finish was of the highest quality. We welcome the opportunity to celebrate the achievement of our people and value the recognition of our quality in practice.